Natural history and birding tour experts – New Zealand, Western Australia & Tasmania. 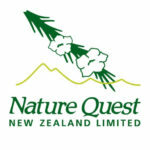 Nature Quest are specialists in designing natural history, bird watching and botanical tours based on a passion for sharing and exploring our wild places. We live amidst a treasure trove of natural wonders which carries special responsibilities as tour operators. We are proud to be an environmentally sensitive tour operator. We always; Encourage and develop a respect and care for the natural environment. Employ tour naturalists who are dedicated to, and enthusiasts for New Zealand’s unique natural heritage. Limit numbers with each naturalist to minimise impact on the environment and maximise the engagement and enjoyment for travellers. Encourage all other operators to contribute to the maintenance of the natural spaces.